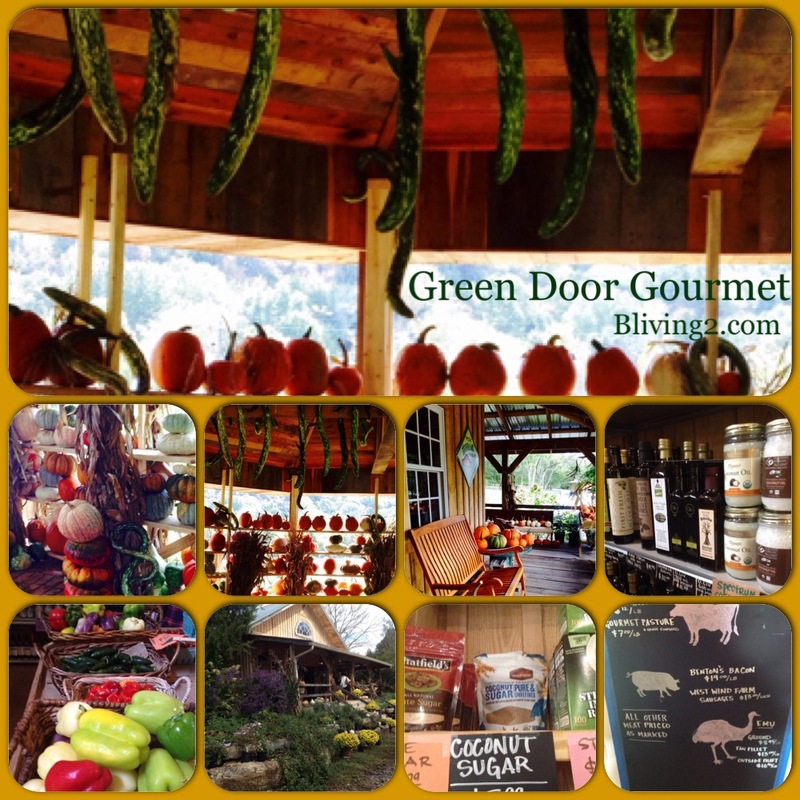 Green Door Gourmet, when I say that out loud, the name doesn’t paint a picture of a farm but that is exactly what it is. The farm is over 300 acres and is located in West Nashville, a true gem! Green Door Gourmet is owned by Al and Sylvia Ganier, they supply more than twenty of Nashville’s Restaurants with fresh, organic vegetables. You also can go to their website and sign up for the CSA (Community Supported Agriculture) boxes, and receive fresh organic produce every week. Go to their website, www.greendoorgourmet.com, and sign up to receive their newsletter. You can get answers about the CSA program and find out more about the farm. We visited Green Door a few weeks ago and loved it, we bought pumpkins and gourds from their pumpkin house, a must see, very creative. My husband and son loaded our pumpkins into our suv while I chatted with and toured the farm, with some of the farm staff. As the farm staff and I made our way up toward the store and parking area, I got excited, I was ready to shop. They have everything from A-Z! I picked up some purple hull peas, heirloom tomatoes, jams, mixes, meat, coffee and an elegantly painted gourd. They even have my favorite, Jeni’s Splendid Ice Cream. You will enjoy looking around, there is so much to see. Green Door Gourmet is the perfect spot for your next event. Their fully conditioned Grand Barn is a countrypolitan venue, its structure provides the perfect back drop for anything from a rustic down home event to a sophisticated and chic fête. Their wedding sites showcase nature at her farm best. Flower and herb gardens, and open fields are short walking distances to the Grand barn. Green Door hosts numerous types of events: photo and video shoots, weddings, receptions, reunions, garden club luncheons, corporate meetings and dinners, entertainment events, and more. I hope you will check them out, they were voted best Urban Farm, Congrats! My family had a great time and I’m sure yours will too!